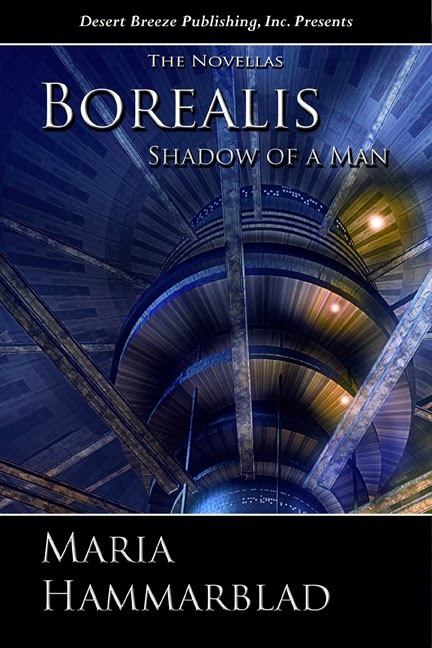 If you follow me on any social media you've probably heard me go on and on about how my Borealis novella Shadow of a Man is nominated for a RONE award? In order to give you incentive to vote, I want to share an excerpt from the book. In my opinion, this book is the best one I've written, closely followed by Flashback. Funny enough, they're also the least popular of all my books. What does that say about me? "I wish we weren't going to Borealis." "Trust me, you're not the only one." Captain Geo rarely answered when she spoke, even if he was right next to her. Sometimes she forgot what his voice sounded like. Why is he standing guard inside the room anyway? He's usually on the other side of the door. Oh well, maybe he needs company too. Theresa turned to meet his eyes and lifted an eyebrow. "Did something happen to you there?" He stood right beside the door with his feet apart and his hands tucked behind his back, looking authoritative and unafraid. "Something happens to everyone who sets foot there. You too. Am I correct?" This time all willpower in the world couldn't suppress the shudder. How could she be so fearful of a place she'd never seen? Telling herself Borealis was built and inhabited by humans didn't help one bit. She still considered it one of the lower levels of Tartarus where souls were tortured until the end of times. "You know. You helped get him out." He nodded, but didn't have time to answer; his radio crackled to life. She couldn't quite make out the mumbling voice on the other side, but it didn't matter. It was never for her. Geo's voice right next to her made her jump. His chiseled face was almost within kissing distance. How could he be so quiet and still move so quickly? The mere words made her feel fatigued. "Oh no. What did he do?" "He's setting fires on the cargo deck, ma'am. Fire will deplete our air supply."